A digital scales is a much more precise and uniform tool for measuring items than a manual scale. Digital scales also make measuring ingredients for recipes much easier and accurate, especially for those who are on diets and need to monitor their food intake. 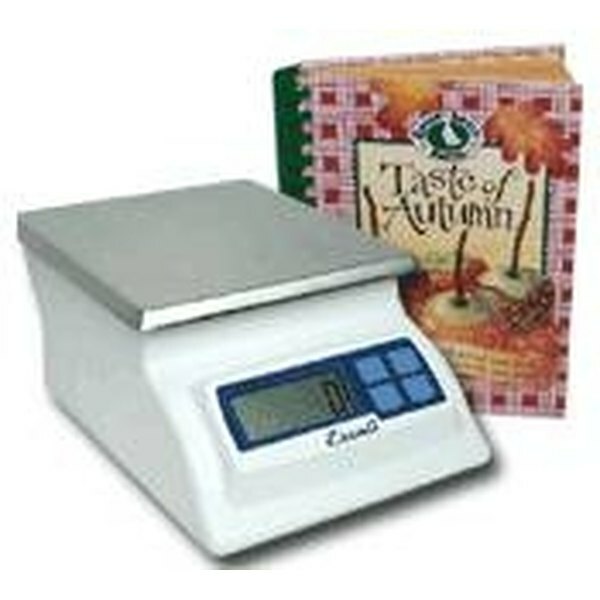 Digital scales come in numerous styles, however most have similar features and are generally simple to operate. Using a digital scale can seem a little confusing at first, but these steps will explain how to read a digital scale. Follow the manufacturer's instructions for turning the digital scale on. The scale should automatically begin with a reading of zero, reflecting that there is no weight on the scale. Set aside two quantities to be weighed for learning purposes. One should be very lightweight, such as 1/4 cup of flour and one should be a heavier weight, such as a head of lettuce. Digital scales measure weight in units of measurement such as pounds (lbs), ounces (oz), kilograms (kg) and grams (g). Place a light object on the scale. Look at the number that is displayed on the LCD screen. Next to that number will be a unit of measurement. This gives you the weight for that specific item. For example, 10 kilograms would read 10kg. Place a heavier item on the scale. Again, take note of the number and unit of measurement displayed on the LCD screen. For example, a head of lettuce that weighs 1 1/2 pounds will read 1.5 lbs. This is a useful tool to know when measuring out amounts for recipes. Digital scales also have a feature that allows you to weigh an item while it is in a container. This feature is called the tare feature. The tare feature is often used for liquids and items that cannot easily be placed directly on the scale. Use the tare feature by placing a container on the scale. Press the button that says "Tare." This will reset the scale back to zero and will not record the weight of the container. Place the item you would like to measure into the container. The digital scale will display the weight of the item in the container not including the container itself. The tare feature will display weight on the LCD screen in the same manner as standard measurements. Try weighing a variety of items to get used to reading the LCD display. Refer to the units of measurement in Step 2 if you are unsure of their abbreviations on the LCD. Turn the scale off when you are finished weighing. Follow manufacturer's instructions for advanced features. Does Pumpernickel Bread Make You Fat?